Travel 8500 kilometers from Hungary, turn your head towards Japan and stop a couple of kilometers from the shores of the Korean mainland. 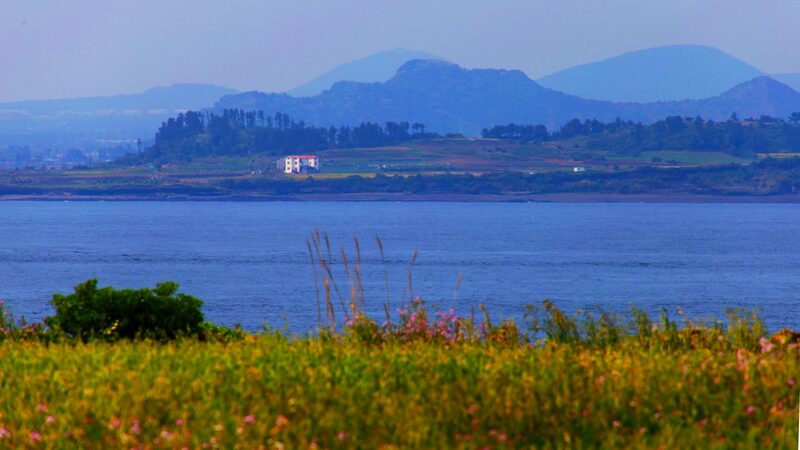 This is where you find a gorgeous little island: Jeju. While the world’s peace-loving population is crossing its fingers for the two Koreas to reconcile, the governor of this small Korean island tweeted US President Trump. He proposed his „island of peace” as the location of the talks between Trump and Kim Jong-un. A very friendly step. Even though Jeju didn’t make it this time, the proposal definitely made its way right to the New York Times and gave me a platform as well to meet István Medvigy and his wife, Mi Kyoung who run Budapest Inn here. There is no better source to learn about today’s Korean society than a successful Hungarian entrepreneur who is spending his 11th year in Korea. István and Mi Kyoung withstood a broad variety of questions with grace and humor, whether it be their story, Korean culture, dramas, the business world, history or Koreans’ view on Hungary – GLOBS Magazine. K: So how does a Hungarian guy gets to run an apartment in Jeju? How did you come you to Korea? I: I first came to Korea in 2002. At that time, I was working for a Budapest—based film studio as a production manager and we were working on the cartoon version of Mr. Bean. Soon work became so much that we needed a partner studio. The studio we found was in Seoul and Mi Kyoung was working for them, actually on the Simpsons. After 6 months we finished our project and I came back to Hungary. Then in 2007 we decided to settle in Korea. Afterwards I worked as an investment analyst. When I quit after 6 years, I started to seriously learn the language but it is not enough to just learn the words and grammar, you really need to understand the history, the culture of the country, – they are all tightly interwoven. And Budapest Inn we started with my wife. 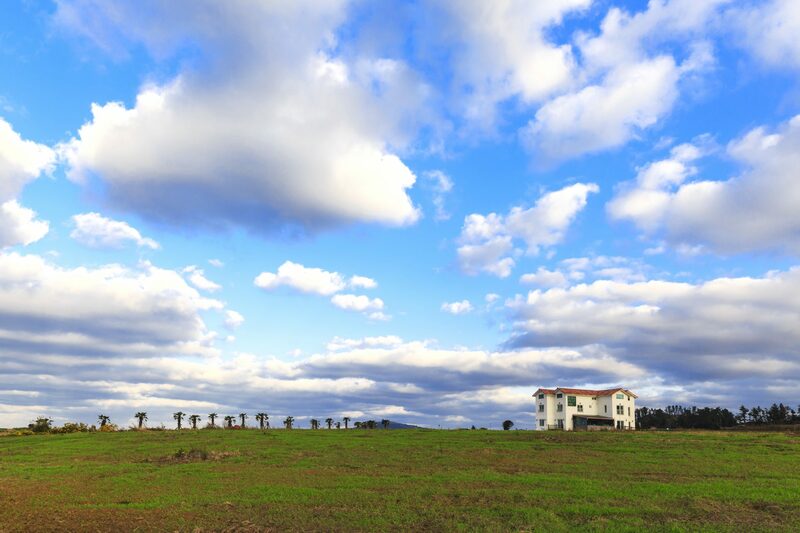 She has been working in the real estate business so she travelled quite often to Jeju. None of us had really the experience in hospitality but Mi Kyoung said why don’t we give it a try. Her dream had been anyways to move to Jeju. K: I guess when you first came here it was not easy to get used to a completely different culture. What were the most shockingly different things for you? I: Then everything was strange. At that time, I lived in Gangnam, Seoul. The skyscrapers, the nightlife, the 24/7 vibration and hustle. We enjoyed every moment of it. If somebody is eager to see the urban lifestyle, this is really a good choice. They should all go to Gangnam but it is really expensive as well so be prepared. Although I do not consider Seoul a beautiful city (I am from Europe after all), there are tons of beautiful, exciting, interesting corners in it. At first glance it might look like a concrete jungle but when you need to look for interesting places, the variety is great. It is also super safe. Whenever and wherever you go, you can be sure that no one would harm you. In terms of criminality Korea is very safe. Maybe once or twice a year you hear or read of some major criminal case but it is pretty rare and it is rather safe to say that Seoul is one of the safest cities in the world. This is also embedded in the culture I think. K:And in the business world what kind of difficulties did you have to face in terms of cultural differences compared to Hungary? What was the biggest challenge? I: It is completely different; for example the functioning of the company: sticking to every little rule or the hierarchy. If there is a meeting it is mostly the boss who does the talking and the others are listening and nodding. It was really hard to get used to it. Especially because back in Hungary I worked in an upper management position, while in Seoul I started from junior level; and many times when I tried to share my views and opinion I realized they were not taken into consideration most of the time, so gradually this made me lazier and less initiative. K: You worked for a Korean company, right? I: Yes, for one of the chaebols (large conglomerates run by a Korean family). I worked for the financial “arm” of Hanwha (one of the top ten largest chaebols in Korea). The company (Hanwha Asset Management) did hire some 1-2 interns before I joined, but I was the only full-time, long-term foreigner at the company. Otherwise, all the employees were Koreans. K: But did you fight to be able to say your opinion? I: Well, to be honest there was no struggle. It was just an internal process of getting used to it. But as an investment analyst they had to listen to what I had to say anyways because those investment decisions have been made based on my research work and opinions. K: Did you have the feeling that you were treated differently because you are from abroad? I: Yes, of course. Because it is hard when you don’t speak the language. Overall it was not a bad experience at all, despite some tough situations…One example is the business dinners after work, which is really part of the culture here. When I went out with my team, first they paid much attention to speak English but then they got tired of it and started speaking in Korean. K: Did you feel homesick? I always do, to some extent. K: Even though it won’t stop you from missing home but Korea is a very good country to live in as far as I see. The economy is booming. I: But what I said before about the business culture, this is changing all the time as well. Korea is changing. Many people study abroad and the country gets Westernized as well. This strict hierarchy and the boss-subordinate relation is slowly changing. It might take a few generations, but it is changing. Also the traditionally patriarchal society is not that strict anymore. K: More and more women are working as well. I: Yes, but not just that. Women are working until they have babies. Traditionally when a woman gets married and has her children she won’t return to the labor market, then she is a mother. The husband is earning money and the wife is raising the children. And then comes the schools, the study groups, the study groups of study groups… Children here go home around ten, eleven o’clock at night, or even midnight. And quite often, at home they still have to do their homework after school. This is a vicious circle. They study, they grow up, they have a good job, then they get married and have children but still they work themselves „dead”. Because they need money to be able to send the children to good schools and so on and so on. K: We see many old women on the streets (ajummas) selling products and the social security system is not working very well, they don’t get pension or very little. I read that in the traditional Confucian society the biggest asset you could have was your children. They were the investment for the future and the guarantee that the parents will be taken care of when they get old. I: This is not only in Asia, but this is a quite global problem that society is changing. Korea is really copying the American example. The pension and support for young mothers are lacking. This is changing now. More and more women go back to work after childbirth and usually grandparents take care of the children. Now I am turning to Mi Kyoung. So we are talking about Korean society. That the new economy made the traditional society fall apart – or evolve. E.g. some elderly people decide to commit suicide because they cannot make ends meet and they don’t want to be a burden. M: Suicide is a huge problem also for young people. Reasons can be the hard studying, the pressure, and the social acceptance. The speed is tough. And also social media, which is a global phenomenon. It distorts reality. K: I saw Koreans love social media and selfies and all those tech things. I: Koreans actually have their own model. Kakao talk was the first. Then came Kakao Story, Kakao pay, Kakao taxi. It is a Korean IT-success story: a small team developed it, it became popular. Then a large local tech company (Daum) bought it. They are different from Facebook. First it existed only on mobile. Facebook was used globally everywhere but couldn’t make it work in Korea. Almost all Korean people were using local chat programs and apps and had a hard time getting used to Facebook, so initially most of them rejected it, saying it is weird and difficult to use. So they had their own and still using Kakao talk a lot. (Kakao Talk is the chat program, – think WhatsApp, Viber, Telegram. Kakao Story is similar to Facebook but since its inception it is used on phones only). K: Koreans are also famous for having their own dramas, own films. I heard many of them prefer to watch their films than buying a ticket for a foreign film. Korean dramas are taking over the world. They are portraying the history of the country and they seem to enjoy immense popularity. I: Many Korean dramas have a low budget. It is not necessarily a question of money. They used to be very simplistic. Now following Western patterns, they seem to spend more effort and money on story development and scripts so the dramas have become more interesting and engaging. My wife loves the K-dramas; I personally could tear out my hair after five minutes. But for example the historical series, they are really catchy. K: This is a huge export product, Korea’s soft power. I: These historical series are also based on profound research and they are easy to watch. All around Asia but perhaps Japan and China are leading Korean drama and K-Pop importers. By the way, Korean dramas, fashion, K-Pop conquered Asia and parts of the world. This gain of popularity via these sectors is often referred to as “Hallyu”, i.e. Korean Wave. K: But let’s talk a bit more about your inn. 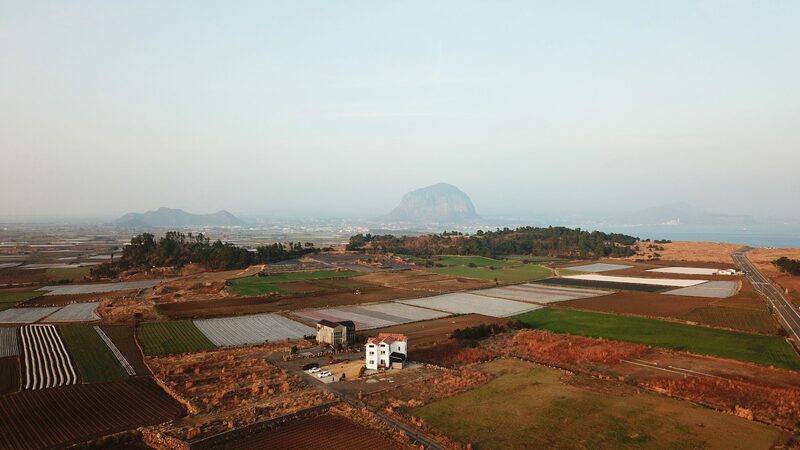 We know that you have founded it two years ago after longing for Jeju. How do you shape it? I: We restructured the building a bit. We made it a bit more „Budapest-style”. There are so many ideas with which we could even make it look nicer, you can spend a lot of money on that. Plenty of photos, partly taken by me and by friends and professional photographers, all black and white, remind guests of Budapest. K: Is there Hungarian food or pálinka? I: Whenever I/we make gulyás we serve it free of charge for the guests, – we consider it a treat, a tiny gesture towards the guests, to give them a glimpse of Hungarian cuisine and culture. Whenever we can spare some pálinka, we are happy to serve it too. Our guests appreciate it a lot! There are actually many young people who came and said, oh yes, we have already visited the real Budapest. K: I heard that in Korea people think of Budapest as the capital of romance. Is it true? I: Hm, that I don’t know. When I first came here, many people knew of the country. People know about Hungary and Budapest. I didn’t know why but it turned out that Hungarian history and the 1956 revolution are written in their history books. Also, the movie Gloomy Sunday (Szomorú vasárnap) is rather popular here. When I first came to Korea, I heard it from several people – and back then I did not even see the movie, so I felt slightly offset by being told of a Hungarian movie that I did not even know about. The melancholy, the war, the suicides… perhaps some common features and issues, depicted in the movie, due to which it gained popularity here. K: And where do your guests come from? I: 80-90% Koreans. But we have had guests from 22 countries already. We rarely have Hungarian tourists but there are always some. 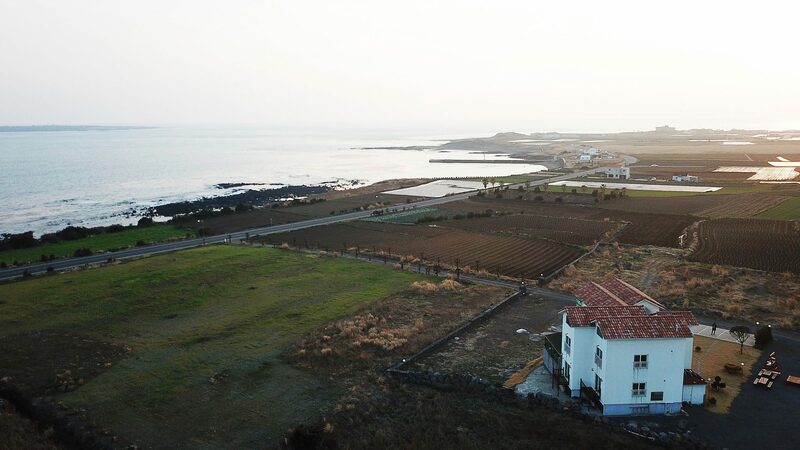 Foreigners who come to Korea as a tourist usually come to Jeju as well for a couple of days. K: Let’s talk a bit about Korean democracy. We hear in the news about Kim and Moon Jae In’s summit but there are even more news about the Korean Air marketing executive, daughter of the company’s chairman who poured water on the head of an advertising company. The other daughter of the chairman, executive employee at the company as well became famous for her „nut rage” scandal. She humiliated a Korean Air flight attendant because she didn’t serve her macadam nuts in a plate, but instead, rightfully served them in a bag. I: This sheds light on the world of Korea’s chebols and their misconduct. That is the reason it gets so much attention in the news because what you see here is only the tip of the iceberg. There are about 10-15 really large ones that the whole Korean economy relies on. Clearly, these companies were the ones who rebuilt this country. But every coin has two sides. They gained also much trust from the government. The sectors of the economy were given to certain powerful families. Those families are now owners of these companies. The main positions are given to family members traditionally. As long as it is working well, nobody is saying anything but people started to see that sometimes they abuse their power. Now in the news you can see one example and the least is that there is a public outcry. There are many things we don’t even hear about. So it was high time that they said stop. K: The Korean Times is full of articles about the North and South. How do ordinary Koreans perceive this topic? Is there a dominant idea about what should be done? I: There are 3 types of popular approaches. Firstly, to have two countries without borders with free access of persons and goods, secondly, people think this is impossible and the two countries should not unite at all. Finally, there are people who think they should be united but it would take decades. Some people in South Korea think unification is good because South Korea has no natural resources, whereas in the North there are natural resources which could help the economy of the Korean peninsula. Since North Korea has no wealth, no facilities to mine those resources out, after unification South Korean technology and money could do that. Quite a few people think that this is just another bluff from North Korea: Kim Jung-un’s grandfather Kim Il Sung, and especially his father – Kim Jong-Il did use these political tactics more than once This is the third time now in the last 20 years that they seem to be opening up but then it completely vanishes. We don’t know much about Kim Jong-un. We knew about his father, what he was like and how he ruled the country but we don’t know about Kim Jong-un. Is he honest, is he not honest? 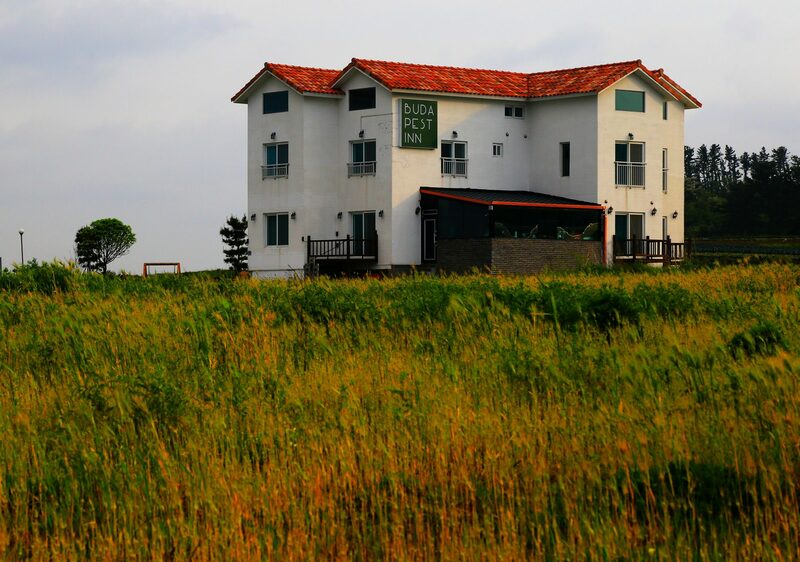 K: On a less serious note, can we tell our readers to visit Budapest Inn in Jeju? I: It is serious. We would be more than happy! What To Do If You Were Tricked In A Hotel?